I've really been churning out the projects over the past couple of weeks. 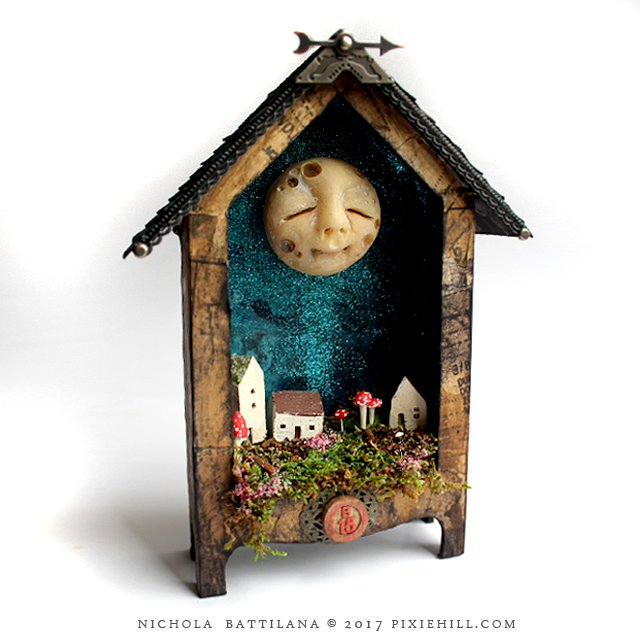 It's nice to get back to work and it's nicer still to work with glittery things and happy moons. Usually my moony faces are made with paperclay, but this fellow is made with polymer clay. 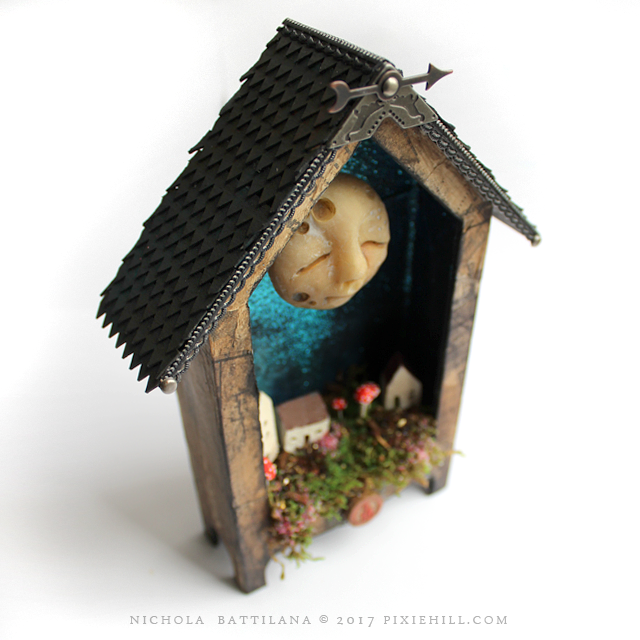 The base is a House Shrine Box, the exterior covered with sewing pattern tissue. 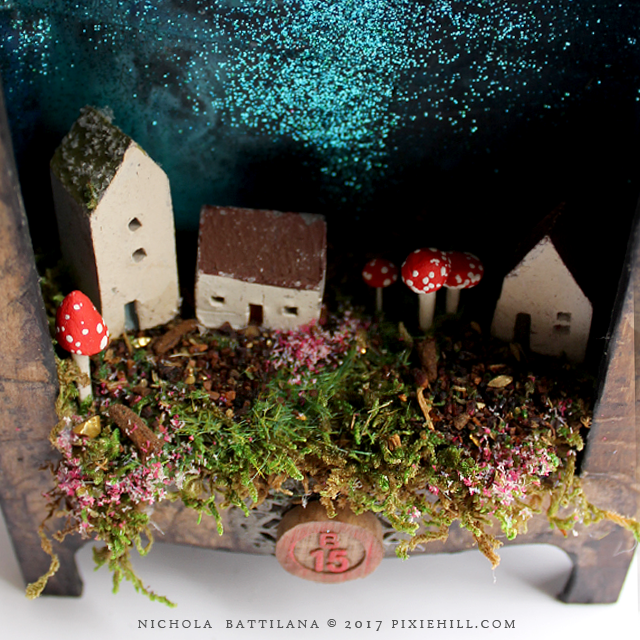 Inside there are pit fired clay houses and handmade toadstools atop a mossy lawn. 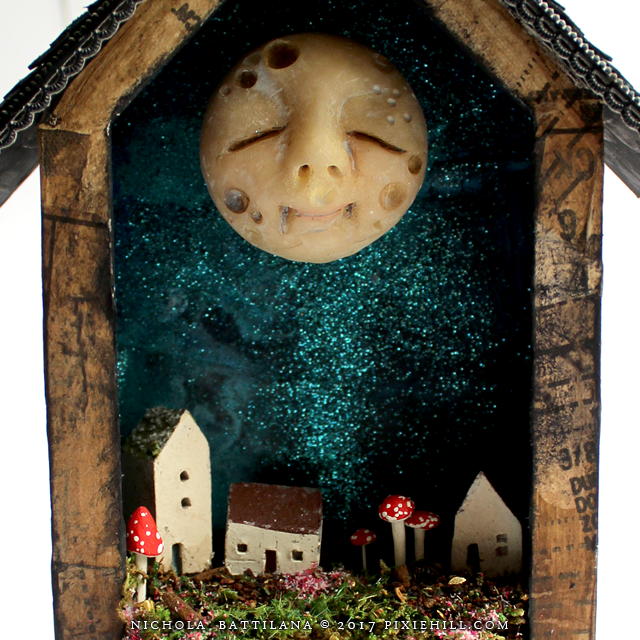 Moss, moons and mushrooms make for a happy messy maker. I just love your Moons!This is so magical! I love the way you have made a starry night sky with the blue glitter and I'm over the moon about your polymer clay moon. 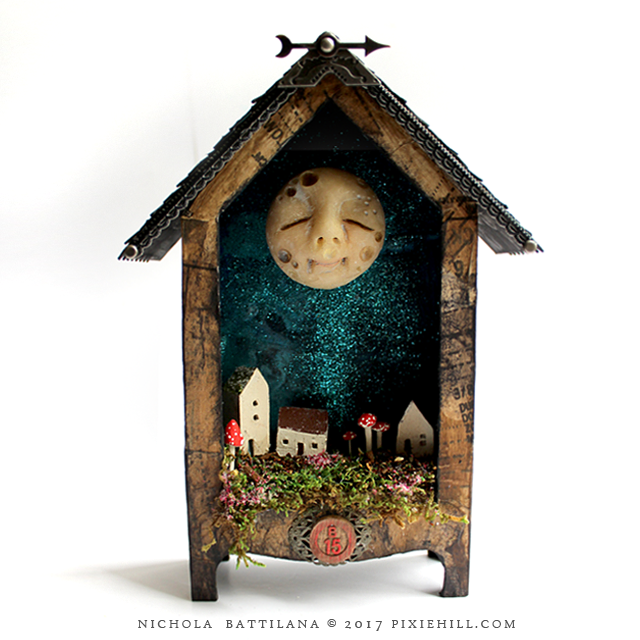 I love Everything about this shadow box scene both inside and out - Simply Lovely! This is so cute. I love the pitting on that man in the moon. I love the moon, I could stare at it for hours. Terrific piece. Love the moon. It is so magical! Your Moon Shrines are always so enchanting. You really HAVE been cranking out the projects these past few weeks and I feel so very fortunate to see them all as they emerge. here They, and YOU, inspire and delight as always Nichola!! Oh how I love your moon shrines! How lucky are the wee folk who live in the tiny village, and can dance in that moon light. Does your brain ever slow down? This is so charming. Your creations take me somewhere else! 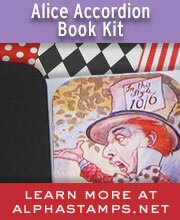 You are magical!